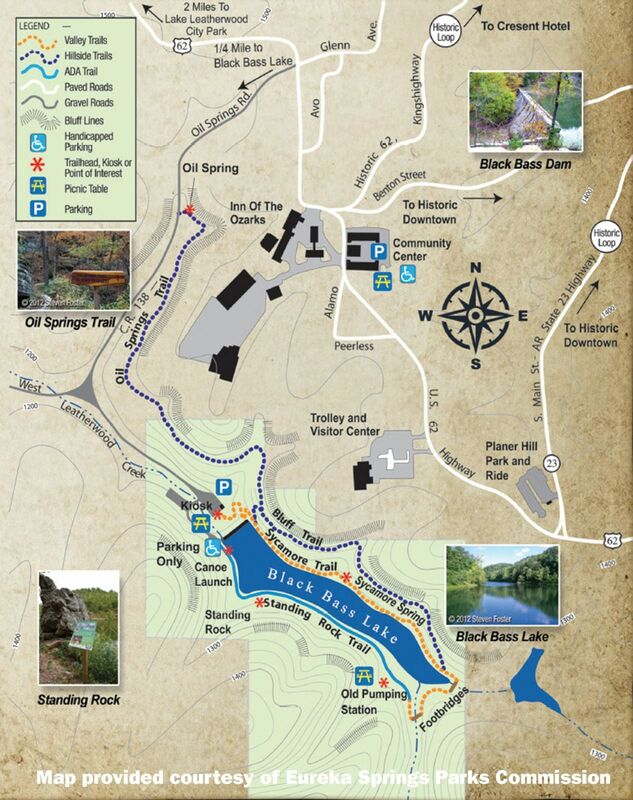 You can hike and bike pretty much anywhere in Eureka Springs, from Lake Leatherwood City Park to Black Bass Lake to downtown. 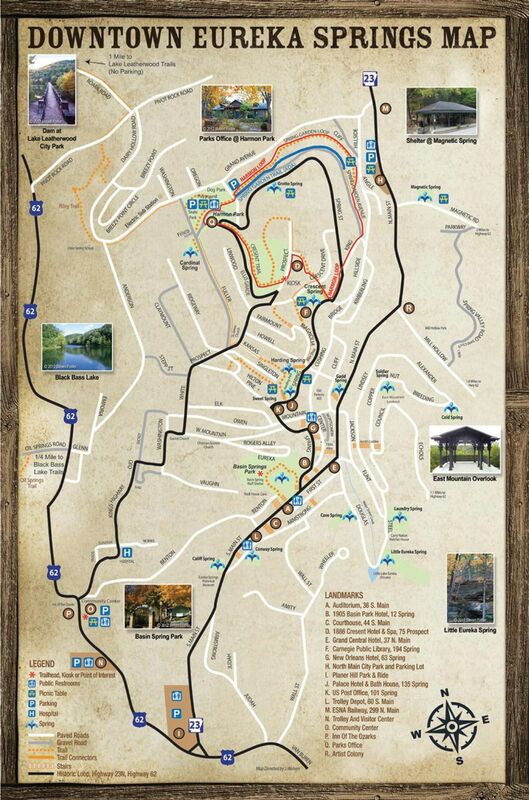 Just grab a map, pick a trail and prepare for adventure. 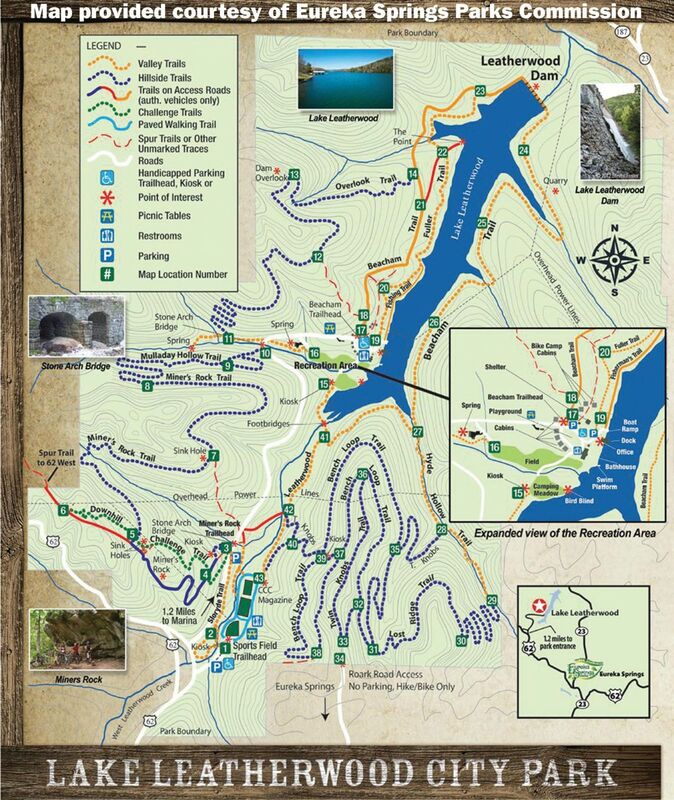 Parks director Justin Huss said the most popular trails are located at Lake Leatherwood, pointing to the one-mile trail near the dam. That’s an easy trail, Huss said, making it perfect for the whole family. If you hike all the way around the lake, Huss said, that’s a bit more difficult. “You’re getting closer to four miles and a more rugged terrain, but it’s beautiful. That’s probably the second-most popular trail we have,” Huss said. There are 25 miles of trails at Lake Leatherwood, Huss said. The Miner’s Rock Trail is one of the most popular trails, but he said it’s still under construction for new downhill mountain biking trails. By mid-June, Huss said, Miner’s Rock Trail should open again. Even better, he said, it will be new and improved. When it comes to in-town trails, Huss said, he’s fond of the Crescent Loop that goes through Harmon Park. The parks department is working to put more art on the trail, Huss said, starting with a mural featuring dogs walking hippies at Harmon Park. That’s available to view now, he said. “You can walk right through there and have a nice spot to eat lunch and take a walk,” Huss said. 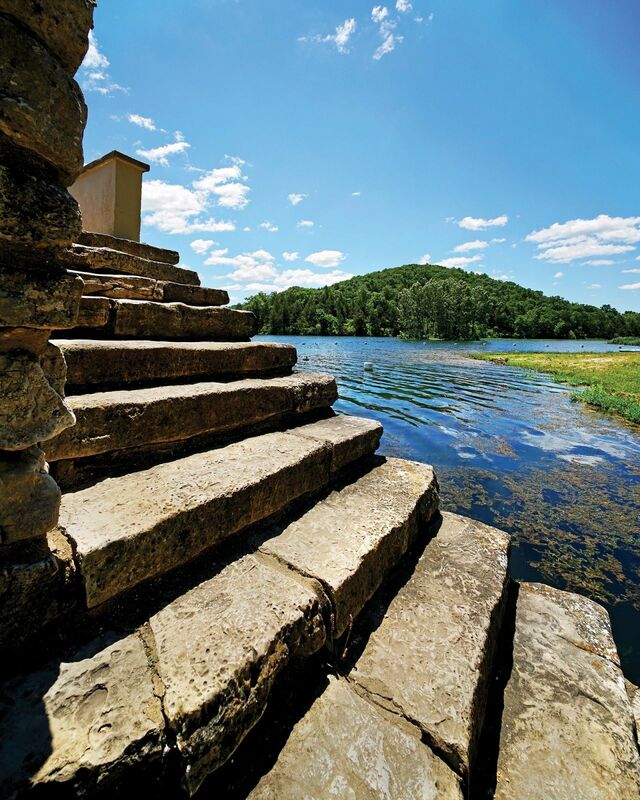 What makes the trails so special, Huss continued, is how they give visitors a chance to experience Eureka Springs in a different way. There are numerous stairways and trails through downtown, Huss said, leading to interesting sights. People can park their car, he said, and go anywhere they want in town on the trails. There are lots of benefits to that, Huss said. Eventually, Huss said, the parks department hopes to connect all the trails in town and at the parks. He said the ultimate goal is connect Lake Leatherwood to downtown Eureka Springs.